Roof repairs are a vital part of home maintenance and nobody does it better than the team at Strongguard. 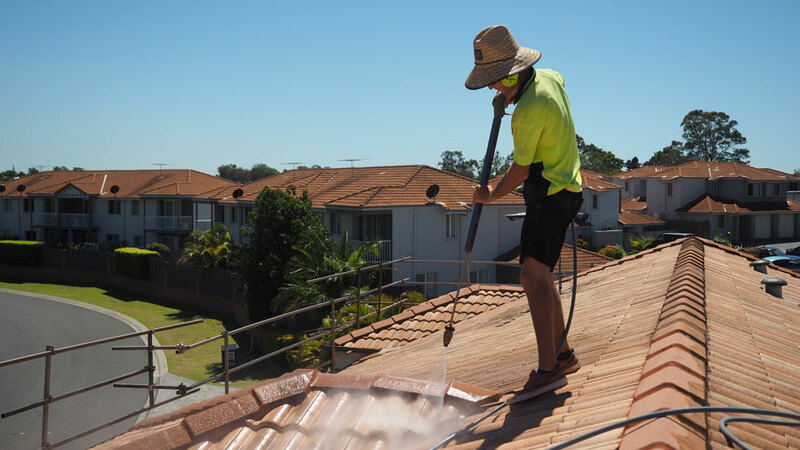 Strongguard has offered roof repairs across Brisbane Southside for over twenty years. Throughout this time, we have gained valuable insights into what is required to offer the highest quality, and most efficient service. 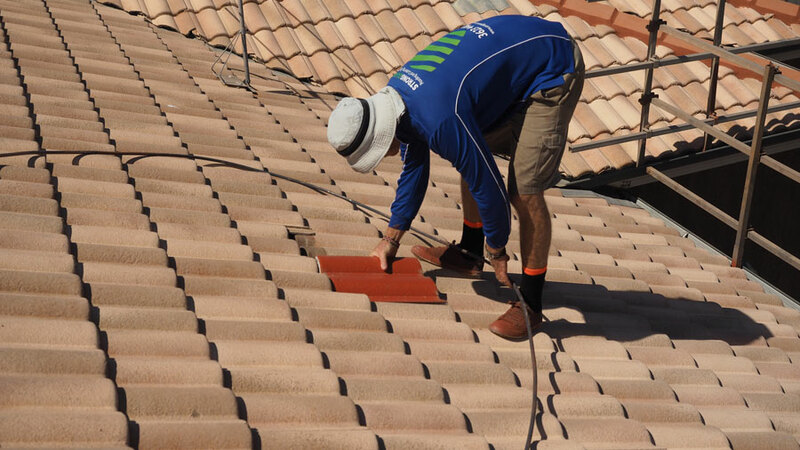 We offer a broad range of roof restoration services, which is designed to meet everyone’s needs. At Strongguard, we understand that different roofs, and different problems, require tailored solutions. To make sure that we can help you, we offer roof repairs and restoration for tile and metal roofs. Our unique service process is designed to assess, identify and address each of your roof’s problems. By doing this, we bring your roof back to life for enhanced aesthetic appeal, durability and protection from the elements. Generally speaking, roof restoration involves repairs, preparation and painting. These three steps are vital to the restoration of tiled and metal roofs alike. It is important to complete each of these steps properly and by doing so, we bring your roof to a standard of quality that is higher than ever before. Our team of experts take the time to listen to your concerns and assess your roof to gauge its condition. We then work with you to develop a suitable solution. At Strongguard, we will guide you through your roof restoration and provide you with expert advice when it comes to things such as paint choice. Throughout our twenty years of roofing experience, we have seen firsthand which products work and which don’t. As a result, we offer only the finest quality products when restoring your roof. This is particularly so when it comes to paint. There are many different features on any given roof. Both tiled roofs and metal roofs are more complicated than they might seem, so repairing them involves careful consideration. Fortunately, the team at Strongguard are experts. We have all the knowledge and experience necessary to make your roof shine like never before. Our first priority when restoring your roof is to ensure that all minor repairs are carried out. These repairs often include replacing tiles, capping, bedding, pointing and valleys. When we replace these, we are careful to use only the best materials. Our aim is to make your roof better than new and to do this, we have sourced the most durable replacements for our restorations. 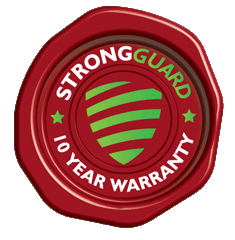 With Strongguard, you are guaranteed the highest standard of quality and workmanship. 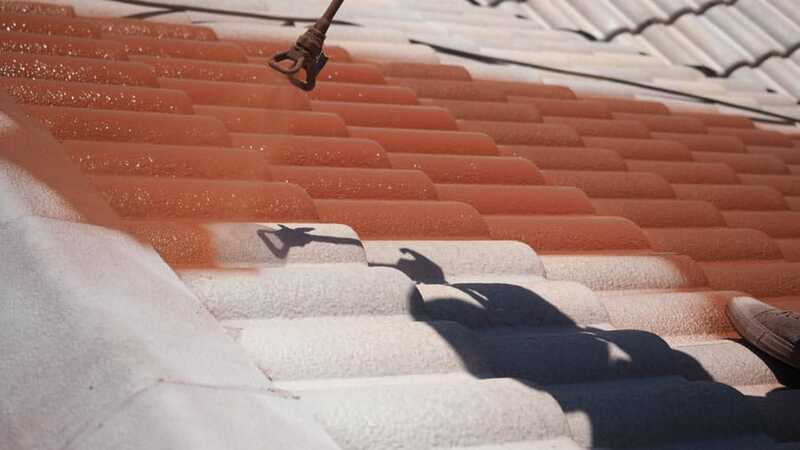 We have to clean the surface of your roof very thoroughly before we can apply any paint or coatings. The surface of most roofs develops a layer of built up grime, dirt, mould and mildew. This is quite common, so we take care to clean all the roofs we restore. To clean them, we use an industrial pressure cleaner. This cleaner shoots water at pressures in excess of 3000psi. The pressure is so intense that it removes mould, mildew and any other build up with ease, leaving your roof spotless. Once your roof has been cleaned with the pressure cleaner, we can paint it. It is important that all imperfections are gone before painting, which is why we take the time to clean your roof carefully. The first layer we apply is a mould inhibitor. This basically ensures that mould and mildew won’t grow on your roof in the future and compromise your paint. After we apply this, we can coat the roof with a primer. This allows following coatings to stick to the roof properly, for added protection. Finally, we apply two layers of roof membrane, which gives your roof a great, lustrous finish. If are worried about the condition of your roof, or would simply like to give your home a facelift, then contact Strongguard. We welcome the opportunity to discuss your needs with you and run you through your options. We have a team of roof experts ready to go, so if you want to get in touch, simply send an enquiry through our website, or call us today. #1 How long does it normally take you to complete a roof restoration? Your roof restoration could take anywhere from two days, to four days in most cases. Of course, the exact time it takes to restore your roof depends on the size of the job. For a clearer idea of how long it will take for your roof, get in touch with our team. #2 Will you clean up after the job is done? At Strongguard, we strive to offer uncompromising service. As a part of this, we conduct a through clean up after every job, so your property is left clean and tidy. #3 How much will a roof restoration cost me? The exact price of your roof restoration depends on both the size and nature of the job. On average, we conduct roof restorations for around $3500-$6000. For an exact quote, simply give us a call. For most domestic jobs, we offer a free site measure and quote. #4 Will a roof restoration prolong the lifetime of my roof? Restoring your roof will greatly enhance its longevity. We offer a ten year warranty on all roof restorations, however we expect that your restored roof will go 10-15 years without needing further repairs.